Do you like crafts? 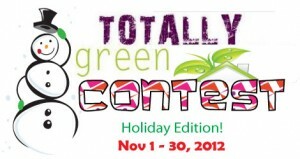 This is for you: Totally Green Contest. The challenge is Holiday Decor. Make anything with a holiday theme and use at least one recycled material. The contest is open for everyone, anywhere! I'm really happy to be one of the Sponsors!! I'm offering 2 pair of earrings and 3 bracelets made by me as part of one of the prizes. Go to Totally Green Crafts and submit your project. Don't forget to check out all the prizes! What a cool contest! I already have plans for a guest post that I'm writing for a craft blog that uses baby food jars- I should submit it to this contest too! Thanks so much for sharing! Hi Lovely, I'm your new follower from Blogaholic.